I purchased Audioman. There is no instructions for installing that theme. I own the domain and made the purchase on my computer, I am the administrator of the page. However, another person is doing the customization. Will he be able to download the theme to his computer to work on it, or once it’s uploaded will all the tools be available for him to use once he logs into my GoDaddy account as an editor. I hope I don’t have to pay for another subscription to the theme. Also where can I get instructions for this theme? Thank you. @lroehrig: You can find theme instruction to install the theme here. The theme will be always on your https://catchthemes.com/my-account/ page so you can download as many times as you want. 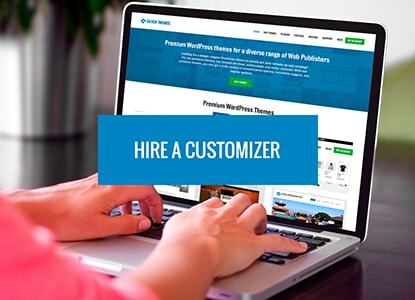 Once you install the theme on your site anyone having WP admin access to your site can customize your site. For more information please read our terms and condition.